If you attended the NRA summer party, and stayed late enough, you enjoyed the cake pictured below. Its multicolored frosting depicts the seven continents of the world. They are North America, South America, Europe, Asia, Africa, Antarctica, and Australia. Days before the party, Peter Barbera and Vinny Hey returned from Australia, where they completed a marathon. 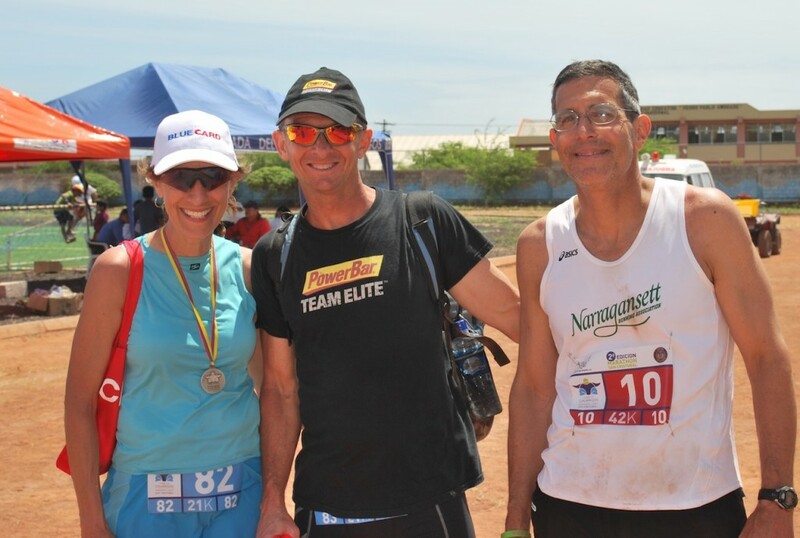 This particular marathon finish represented the seventh and final finish in Peter’s several-year quest to run a marathon on every continent. This was an individual quest, but various NRA members tagged along, including Mary and Fred (Galapagos, South America), Jim C. (Ireland), Suksoo (Korea) and, of course, Betsy (Africa, among others). 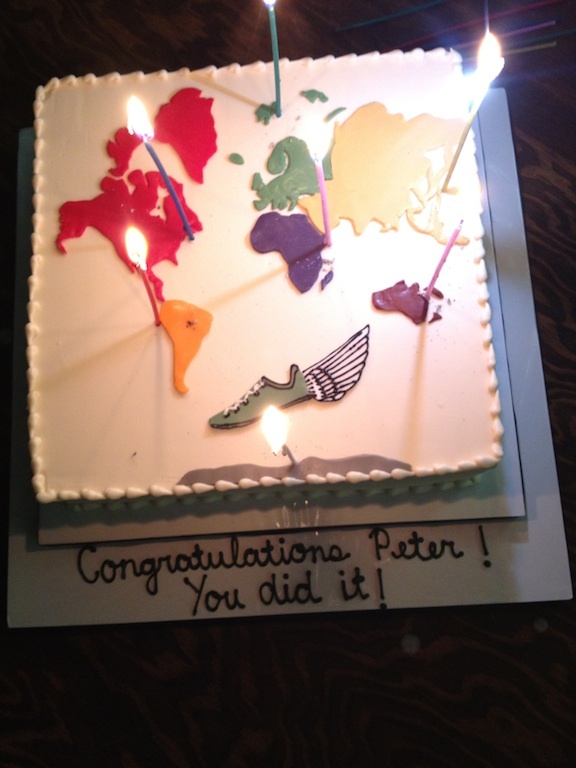 Peter completed this seven-continent quest in a remarkably short time, but also performed remarkably well at the individual races, finishing in the top three overall in Antarctica and South America, and setting a lifetime PR in North America (Gansett). Besides congratulating Peter, we also thank him for wearing the NRA colors at each race and giving NRA “stuff” (shirts, etc.) to the local people. Pictured below are Peter, Mary and Fred in the Galapagos Islands.